As of late, flash mobs have become ... well ... flashy. They seem to be materializing all over the place. Well known brands like American Airlines, UPS, Wells Fargo and Sears have all taken their brands to the streets through flash mobs. 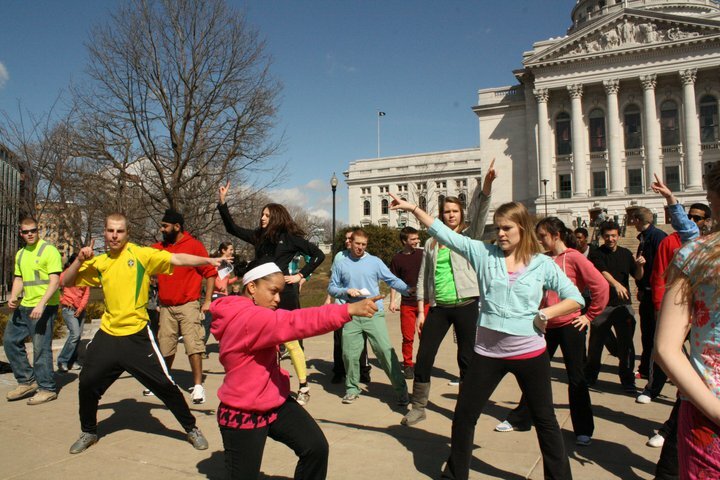 Maybe you're not all that familiar with flash mobs. Well that's not terribly surprising ... especially if you don't live in a somewhat larger city. then disperse, often for the purposes of entertainment and/or satire." Of course, those of us that make a living by working in the field of marketing or advertising, know the truth behind most flash mobs. They actually are not "seemingly pointless acts." Rather, they have a point and that point is to heighten awareness of a brand or to get consumers to look at our brand in a whole new light. 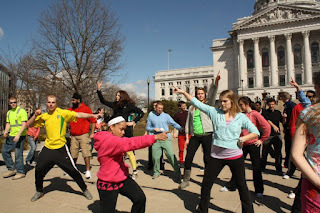 Flash mobs fall under the category of nontraditional advertising, along with a whole cadre of different vehicles. But, of all the different methods of advertising that exist - both traditional and nontraditional - I must admit that flash mobs are quickly becoming one of my favorites. I love the unexpected delight they offer to unsuspecting bystanders. I love the energy and passion that unfolds on the otherwise sedate streets. I love the smiles that seem to creep on to the faces of those watching. I love how much fun they can bring to a quiet, dull day. When all is said and done, what's not to like?